Nikwax TX.Direct® Wash-In. The No.1 easy to use, safe, high performance wash in waterproofing for wet weather clothing. Adds Durable Water Repellency and revives breathability - in a washing machine. 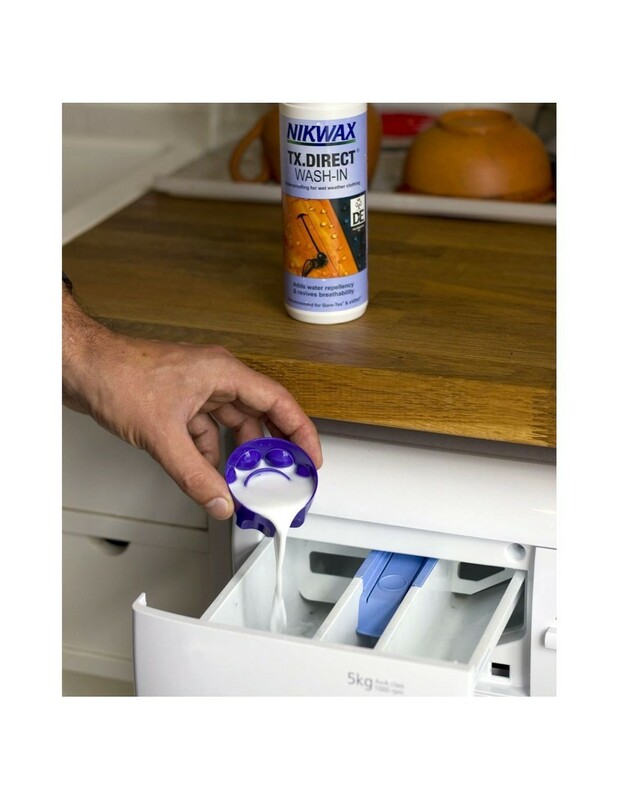 It is easy and quick to apply in a washing machine, and its highly Durable Water Repellency (DWR) develops on air drying. 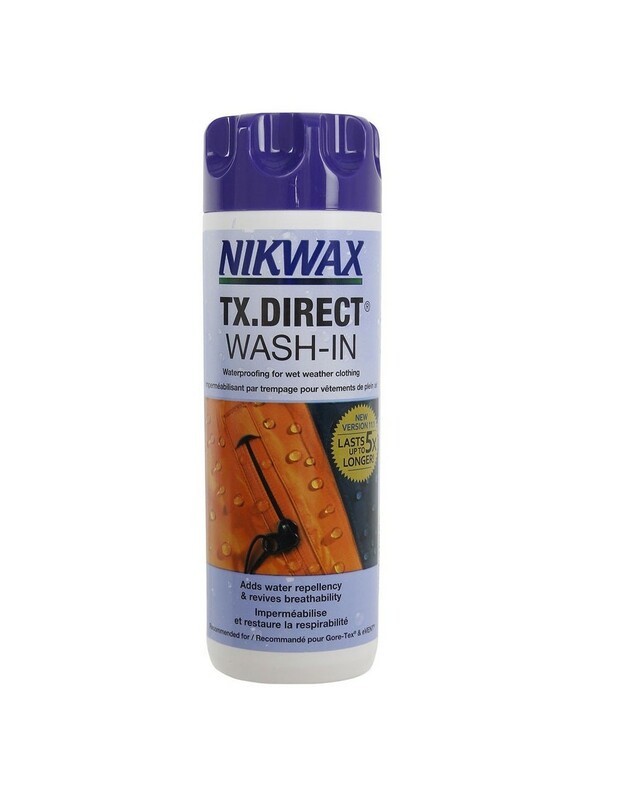 Nikwax TX.Direct® Wash-In has been specifically designed and optimized for breathable waterproof garments; it leaves a flexible water repellent treatment on individual fibers allowing moisture vapour to pass through, maintaining breathability. When we work hard, we sweat. The evaporation of sweat cools us down and keeps us comfortable. But, when it rains we want to avoid getting wet, so we put on waterproof outerwear to keep us dry. The waterproof fabric must allow moisture vapour to pass through it, or 'breathe'; otherwise our sweat cannot evaporate, causing us to overheat and get wet from condensation. 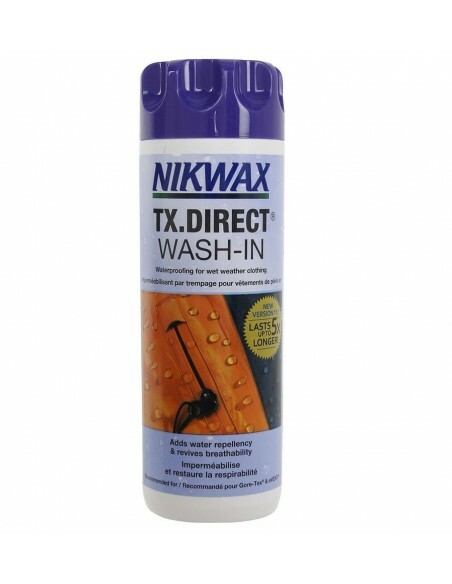 For best results remove all non-washable parts and always clean item first with Nikwax Tech Wash® in a separate wash cycle. No need to dry item before waterproofing. 1. 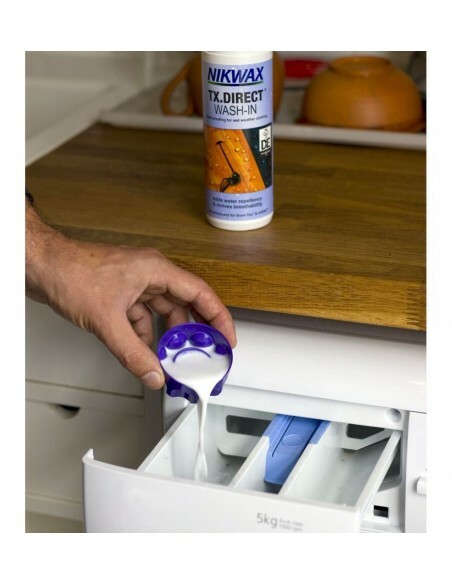 Remove all detergent build-up from the detergent dispenser. 2. Place maximum of 2 clean garments in washing machine. 3. Use 3floz/100ml per garment. 4. Run 30oC Synthetic cycle and slow spin.